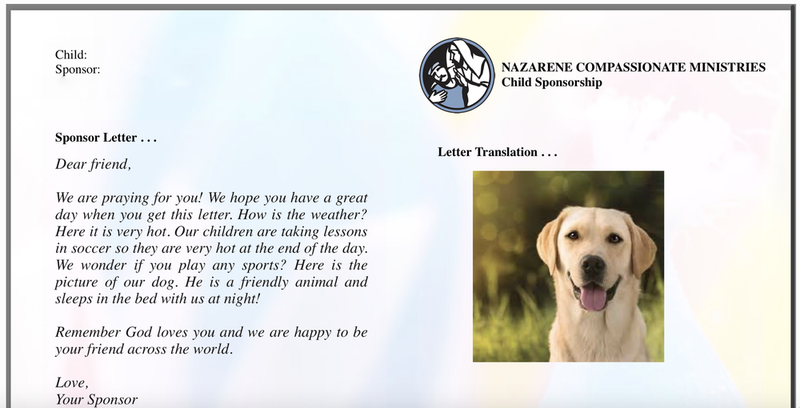 Digital letter writing makes sponsorship correspondence easier than ever! We asked sponsored children what they love most about the sponsorship relationship. The relationship a sponsor forms with their sponsored child is one marked by encouragement and care. We know children are buoyed by loving adults who show interest in their development, schooling, spiritual formation, and more. That care is best expressed through sending a letter to a sponsored child. NCM has long had a "snail-mail" system of letter exchange. We are grateful to all sponsors who utilize it throughout the year, and it will continue to function as normal. But in this digital age, we are happy to announce a "digital letter portal" now available to all sponsors. 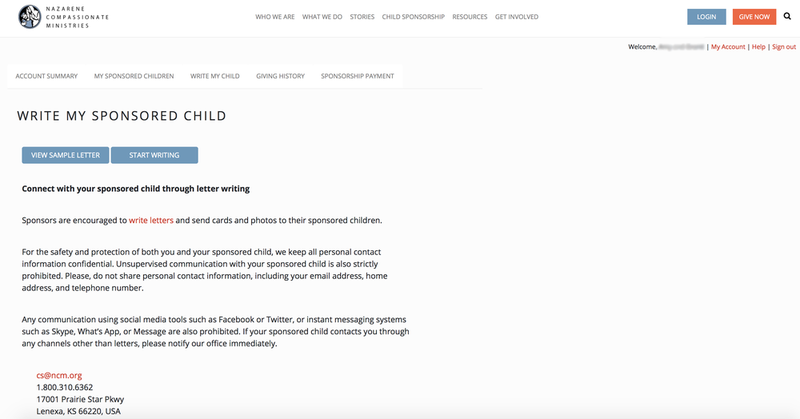 Through it, you can write a letter online and upload a photo for your sponsored child. We will collect, print, translate, and mail the letter for you, and you will still receive a response through the postal service! Scroll down for a tutorial. From the homepage, click the blue "LOGIN" button at the top. If you don't know your login information, you can request it after clicking. After signing in, you will be directed to your Account Summary. In the tab on the top, click "WRITE MY CHILD". It is located underneath the name of your sponsored child. A quick reminder of our letter writing policies! Then press the blue "START WRITING" button. Scroll down to see all the options! Type an encouraging letter to your sponsored child and follow the prompts. You may need to scroll down to see all the instructions. Kids love receiving pictures! 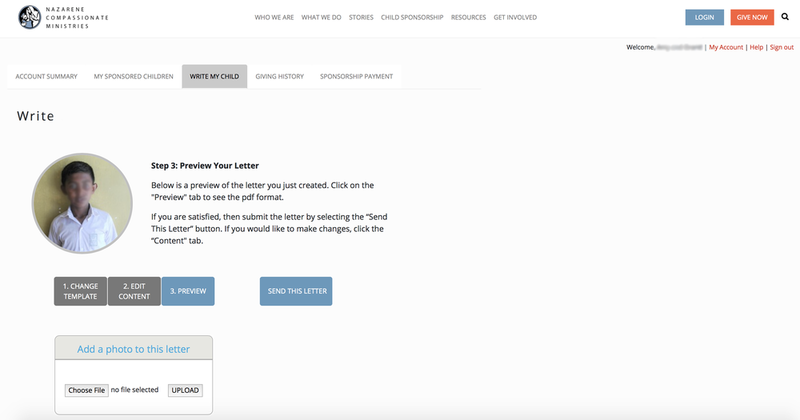 Follow the prompts to attach an image, then scroll down to preview your letter! An example is included below. To send, click the “SEND THIS LETTER” button. A sample of what your letter will look like! Thanks for taking time to send a letter to your sponsored child! If you need any help, feel free to email us here.